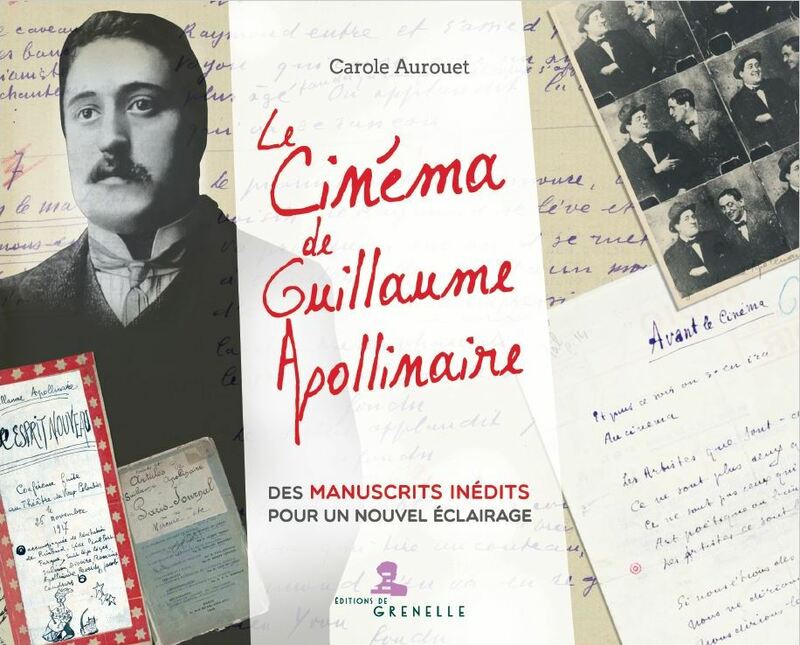 On the occasion of the centenary of Guillaume Apollinaire’s death, Carole Aurouet is grasping a little-explored aspect of his work: cinema. Indeed, the relationship of the French poet with the latter is dense and fascinating. Very early on, Apollinaire was fascinated by the extraordinary possibilities of this new medium of expression, in stark contrast to the moralizing hostility expressed by many intellectuals of the time. He went into the dark rooms, published texts on cinema and included it in his literary creations. Then he finally acted out by writing for the cinema. In 1917, he composed his first screenplay with André Billy, La Bréhatine. Cinéma-drame. It is the story of an unfortunate love declined in a much less stereotypical way than what one might think in view of this traditional theme. A second scenario invented by Apollinaire in a small notebook and inspired by a work by Jules Verne, remained unfinished : C’est un oiseau qui vient de France (It’s a bird coming from France). This narrative is underpinned by a widespread Germanophobia that is part of the historical context of the First World War. Preciously kept at the Jacques Doucet Literary Library, these extraordinary documents are reproduced for the first time in facsimiles and offer us all the details of Apollinaire’s work – crossed out words, underlined, deleted, added. These two unpublished scenarios are accompanied by their transcription, faithful even in the layout. At the beginning of the book, Carole Aurouet’s presentation places them in their historical and cultural context, thus highlighting their role as enlightening testimonies: not only of the poet’s individual work, but more generally of an avant-garde thrust aimed at modernizing 20th century art and culture. The book is published simultaneously in Italian: Il Cinema di Guillaume Apollinaire. Manoscritti inediti del primo poeta del cinema, by Carole Aurouet, Gremese Editions.